For restaurants with hourly employees, time and attendance is a critical part of workforce management. Everybody clocks in and clocks out, but that’s just one small piece of the puzzle when it comes to juggling schedules and keeping the business running smoothly. 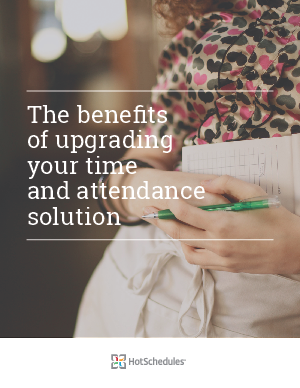 If it’s been a while since you upgraded your time and attendance software, you may be working a lot harder than you need to be. This ebook will show you how having the right time and attendance solution can simplify your management and make all the difference in how your business operates.